Should you use PayPal or a shopping cart? One of the key questions new membership site owners ask is whether to use PayPal by itself or a shopping cart service like 1ShoppingCart. There’s no easy answer to this question as there are advantages and trade-offs to each. In order to help you make a more informed decision we will compare using PayPal by itself versus 1ShoppingCart. The reason I use 1ShoppingCart (1SC) is because it is the most popular shopping cart in our market and the the pricing and is readily available. If you wish to use another shopping cart service just substitute its pricing with the ones discussed here. I will compare initial pricing, monthly pricing, discount rates (the percentage of each transaction retained by the processor) and fixed per transaction fees of both approaches. Then we’ll take a look at its some of the advantages and disadvantages of each. I will provide a straight financial analysis which will give show the number of additional monthly transactions required to justify the extra expense of a shopping cart service. Finally we’ll look at which approach might be best for you based upon your business strategy. PayPal is very simple there is no initial setup fee or no monthly costs. You simply pay 2.9% of each transaction plus a $.30 per transaction fee. This is for US transactions only if you are processing payments from outside your country there may be additional currency conversion fees, which is beyond the scope of this discussion. Additional services? PayPal doesn’t provide any beyond the processing of transactions. PayPal’s integration with WishList Member is excellent. It is very easy to set up and is fully integrated, which means when a member stops paying or their credit card is declined their membership is automatically canceled in WishList Member. In fact I prefer the PayPal integration over any shopping cart integration in terms of ease of setup. The positives of using PayPal are it’s lack of ongoing fees, the fact that it accepts credit cards and full integration with WishList Member. The negatives? First and probably most important is that you don’t control the user experience when members make a purchase. PayPal is known for changing the user interface frequently. Plus the order page has a different appearance to people who are PayPal members versus non-PayPal members. If PayPal recognizes the buyer as a PayPal member it’s difficult to use a credit card. Another problem with PayPal is the you do not control the data. Unlike a shopping cart PayPal does not capture the name address credit card number telephone number and every every other vital piece of information into a database that you own. However because we are processing orders for membership site we will be capturing much of that information in WishList Member once the purchase is complete. This is something to consider. Last, PayPal does not include an autoresponder or e-mail marketing system. If you plan to capture e-mail addresses for ongoing member communication or marketing purposes, it will be necessary to subscribe to a separate e-mail marketing service like Aweber or Mail Chimp. Fortunately dedicated e-mail marketing services are much stronger than the e-mail component of most shopping carts. Like all shopping cart services, 1ShoppingCart charges a monthly fee. In order to integrate fully with WishList Member you must subscribe to the one shopping cart pro level service which is $99 per month. In addition to this monthly fee one shopping cart charges $.25 per recurring transaction. This means when you have members pay you monthly each time they are charged by one shopping cart you will incur an additional $.25 in fees. But the monthly and per transaction fees don’t stop there. You also must have a gateway service, the most popular being Authorize.net which costs $20 per month and also charges a $.10 per transaction fee. Beyond that you must have a merchant account which also charges a monthly, per transaction and discount fee which is a percentage of the sale. There are many many merchant account options but for the sake of our discussion here I used pricing from the Authorize.net merchant account. The monthly charge for their merchant account is $9.95 plus a 2.19% discount fee per transaction and a $.25 flat per transaction fee. 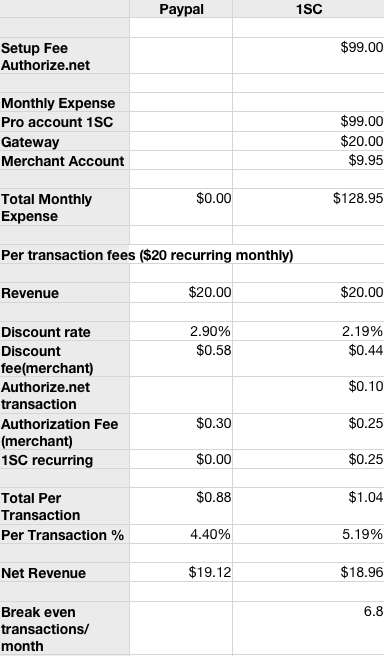 All merchant accounts charge a host of other fees, but are not included in this analysis to keep things simple. 1ShoppingCart integration with WishList Member is also excellent. However you must have their Pro account for full two-way WishList integration. Autoresponder or e-mail marketing service. In my experience the one shopping cart autoresponder is not very good. In fact it’s pretty bad. Especially when you compare it to dedicated autoresponders like a Aweber. Customer database. When you use a shopping cart service it captures your members name address credit card number and a host of other important information about them. If you need this information for future marketing efforts then this alone is well worth the price of the service. However because we are registering these members in a membership site, the WordPress database can also capture much of this information. So it may not be a problem for you. Integrated affiliate program. If an affiliate program is an important part of your marketing strategy then this also may be well worth the price of using a shopping cart service. 1ShoppingCart has an excellent integrated affiliate program. Shopping cart services like 1ShoppingCart accept PayPal and sometimes Google checkout as additional payment options. Upsell Express. 1ShoppingCart has a built-in upsell program that can be quite valuable if it’s an important part of your marketing strategy. Ad tracking. Most shopping cart services track the results from specific online advertisements. If you do split testing then this can be well worth the additional monthly fee. Customization. 1ShoppingCart as well as other shopping cart services have robust API(application program interface) that enables you to customize many functions. While this is not for everyone, site owners who need this find it invaluable. Some good reasons to use 1ShoppingCart are the additional services listed above, the fact that includes PayPal and other payment options, and the customer database. I’ve also read many times that shopping cart services have a higher conversion rates than PayPal alone. Of course that information comes directly from the shopping cart services so it’s not exactly an unbiased source of information. Other advantages to using a shopping cart is that you control the user experience, credit card purchases are smoother from the customer’s perspective and you have a record of all order history. The big negative is monthly cost that includes not just the shopping cart but your merchant account and gateway. Also the additional transaction fees can be quite high. If you don’t need the additional services than they are overkill and not necessary. If your decision is strictly financial have a look at the graphic of a simple spreadsheet that I put together to analyze the various costs of both options. Assuming a $20 monthly recurring subscription, you need an additional seven transactions per month to break even on using a shopping cart service. Depending upon your subscription fees, merchant account and gateway pricing your mileage will vary. You are a new membership site owner (keep it simple at first). You don’t sell many additional products or services beyond the membership site. You’re testing a new concept. You can always move to a shopping cart service in the future. Sell a number of physical and digital products in addition to your membership site. Need an integrated marketing solution that includes an autoresponder and database. Need one solution for your order history and customer data. Require an affiliate marketing program. Need to control the entire customer experience from the sales page through registration. If after considering all of these alternatives and still unsure I highly recommend you begin with PayPal by itself and move to a shopping cart later. As always the simple approach this almost always the best. Excellent article Bob, and very timely for me personally. Will PayPal allow the customer to make “partial payments” on the total amount due? 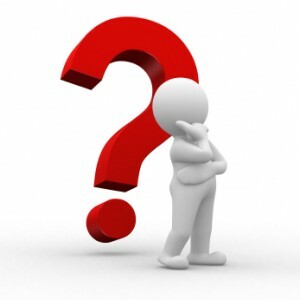 For example…if the customer has 60 days to pay a tuition fee of $700, can they enter the system periodically and make partial payments (in the amount of their choice) up and until they have paid the full $700? Can you render a short opinion on using Google Checkout vs. Paypal? Thank you again for continuing to share your expertise and knowledge!! Glad you found it helpful. You can set PayPal up to bill in increments such as a monthly subscription. But I don’t think it will allow people to pay in increments of their choice. To do that you will probably need an invoicing service like Freshbooks (which is what we use). It interfaces very nicely with PayPal. Google Checkout is also quite good. We offer it as a payment option along with PayPal through our invoicing system. It’s biggest drawback is that it doesn’t handle recurring payments like monthly subscriptions. But for your purposes it could be a good alternative. Bob – Thanks for the helpful article. I had a foggy feeling that Paypal was the cheap and easy way to begin, but now you have clarified with details and metrics. Thanks especially for giving us the break-even formula. This question comes up so much that I decided it was time to Publish a little analysis as a reference for our readers. I’m pleased it helped you. Great article. Love the spreadsheet breakdown. What about integrateing Wishlist with a shopping cart plugin like WP eStore and having both Paypal and Authorize.Net on it? Is that even possible? Unfortunately, 1ShoppingCart is not available in Europe, would you recommend an International Shopping cart?